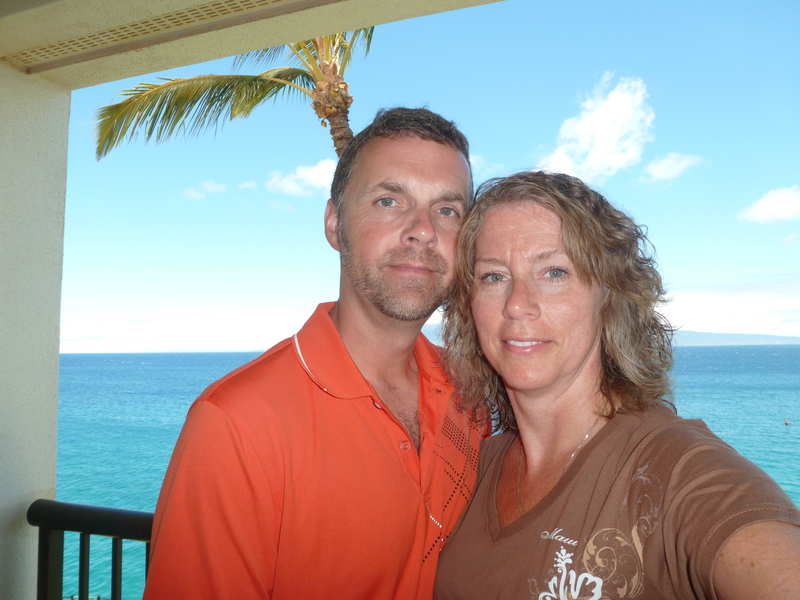 Day 7 is our last full day of vacation in Maui. It’s kind of like the second to last day of summer vacation before I returned to school when I was growing up in rural Iowa, a bit melancholy if I think about it. I don’t necessarily want to think about packing up, shuffling off to the airport and catching the long flight home, as well as the connecting flight back to real life…but for now we’re on vacation in Maui and we’re going to live in the moment. We enjoyed ourselves so much yesterday at the beach that we decide to do it again. When in doubt, go with your gut instincts…which we did by enjoying the hotels breakfast buffet (again) and reserved ourselves a couplea lounge chairs on the beach. A top-notch breakfast buffet every morning usually meant that we could skip lunch. One thing that I noticed was the lack of European dudes wearing bikinis. It seems that whenever we go somewhere coastal on vacation there’s always some middle-aged guys wearing bikinis. (I assume that they’re from Europe since I can’t understand a word that they’re speaking, but it sounded French). I was prepared for the onslaught of bikini-clad European dudes and had purchased a pair of Brazilian trunks to don if the opportunity presented itself, which it did not, so I just kept ‘em for wearin’ while I mow the yard when I return home. I would’ve shown a photo of me in my brand new Brazilian trunks but the major internet cable providers begged me not to after the photos of me in yesterdays blog darn near took down the web. Apparently Rich Ripley in swimmin’ britches equates to viral things. Who knew? Not this guy. As regular beachgoers now, Connie and I blended right in with the other regulars and beautiful people. Several newbies saw me and started snapping photos thinking that I was David Hasselhoff …training for the upcoming Baywatch Reunion TV special on TNT or The Country Music Channel (I forget). I kept hearing “Hey HOFF!! Save me! !” or “Hey Hoff!! Wear a girdle or something to restrict all of that jiggling! !” which was totally inappropriate because I wasn’t jogging or doing anything athletic other than crossing the blazing hot sand barefooted that separated me and my lounge chair from the cool waters of the Pacific. 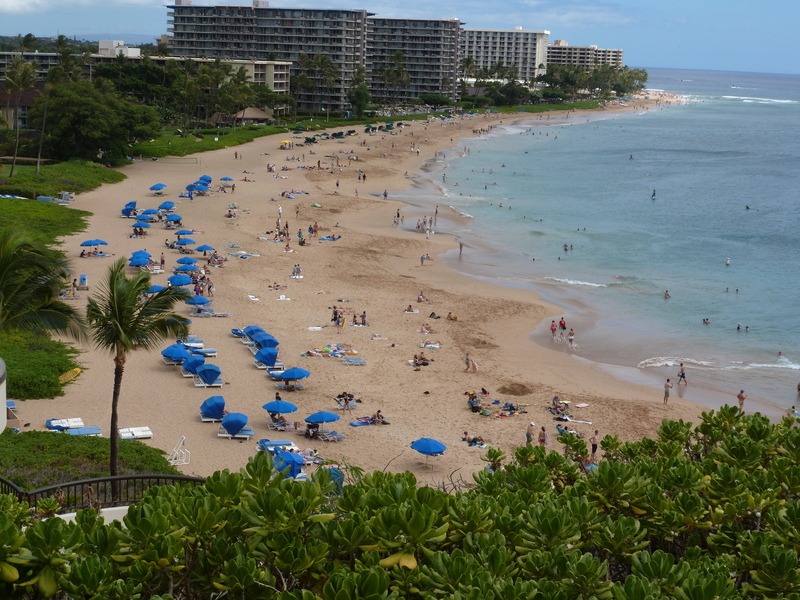 Kaanapali Beach. 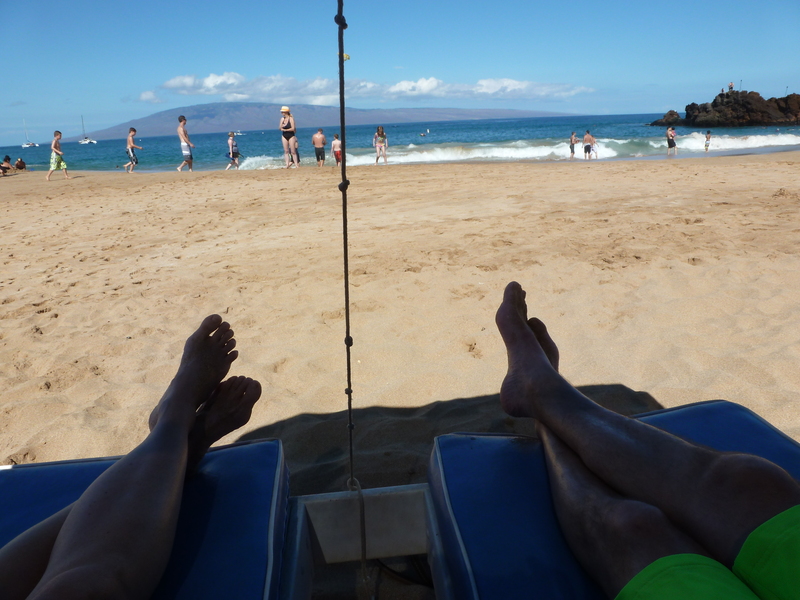 A slice of Heaven at the Sheraton Maui. My agent, Cliff Cattlerod of Hollywood… Iowa, finally got me some work in the entertainment world while we vacationed on Maui. 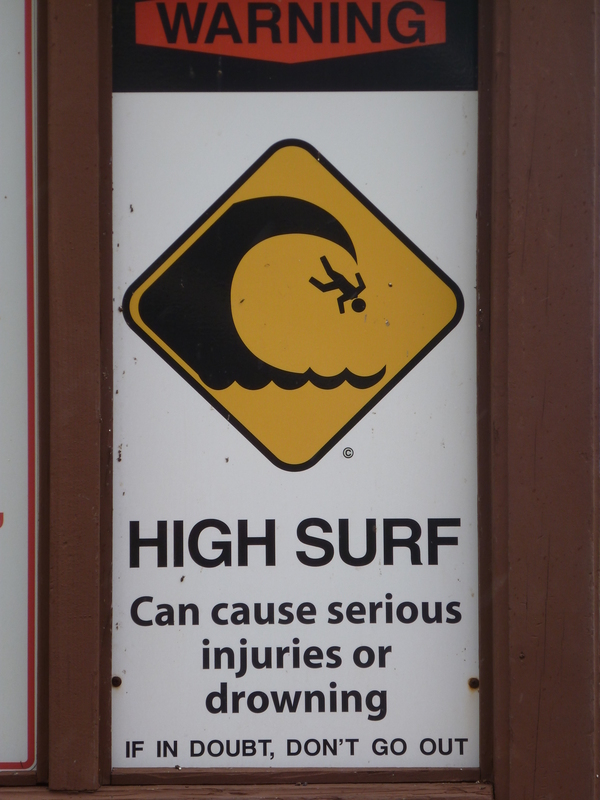 I maybe shouldn’t call it work or entertainment, but someone was definitely entertained enough when they saw me getting rolled in the unusually high surf the past couplea days and used my likeness for this warning sign posted on Kaanapali Beach by the Sheraton. That’s definitely me alright, just look at the profile!! At least they didn’t show me losing my swimming trunks in this sign like I did the first day on Oahu. Point of discussion…shouldn’t they post a sign warning of the unusually high amount of sand that will probably get lodged in your swimsuit and body? Discuss amongst yourselves; we’ll get back to that. Several Green Peace activists repeatedly tried to roll me back into the water during the day, thinking that I was a beached whale. After the second time I got testy with them even though I kind of enjoyed the attention, TV cameras, rubdowns and free krill. Japanese whalers cruised just offshore, bidding their time for a free shot at yours truly. We saw two sea turtles, one was huge, and plenty of other stuff that was pretty cool. We had ventured out a little too far from our beach, around the rocky outcropping that separated us visually from where we could go back in. Connie started feeling crummy and I was gassed (tired…not what you thought). Together we grabbed onto her boogie board and swam around and back to our beach, though it was slow going until we got back around the Black Rock outcropping. 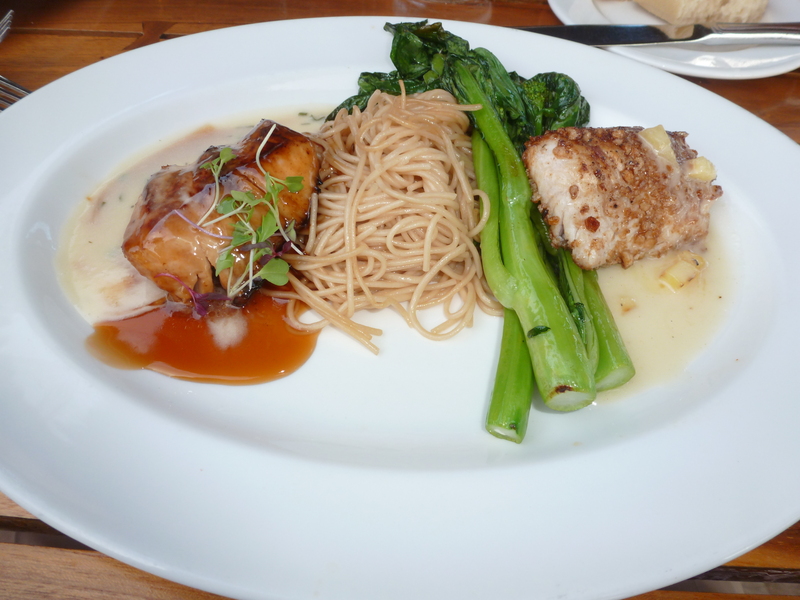 The fish was excellent, the side dishes like this “baby ocean asparagus” was left on the plate. I tried it, didn’t like it (and I like asparagus). Scalloped corn like my sister-in-law Joyana makes would’ve really been a great addition to this meal. Maybe next time I’ll ask the chef to get the recipe from her. I’m getting antsy to get home, to return to normalcy, to my friends, to my work challenges, to walking into the kitchen and making a baloney sandwich and pouring a glass of milk. I miss engaging with people and conversing with them. I get antsy and it drives Connie nuts, but I try to purposely keep myself from doing that on this trip. Its been a wonderful vacation. Tomorrow we start for home. A long flight awaits. Thank you for coming along on our anniversary trip with us. It went so smoothly in part due to the planning by our travel agent, Andrea, and Connie calling ahead and reserving things for us, also we were abundantly blessed with good health, beautiful weather, safe and timely travel, wonderful food and accommodations and LOVE from above. 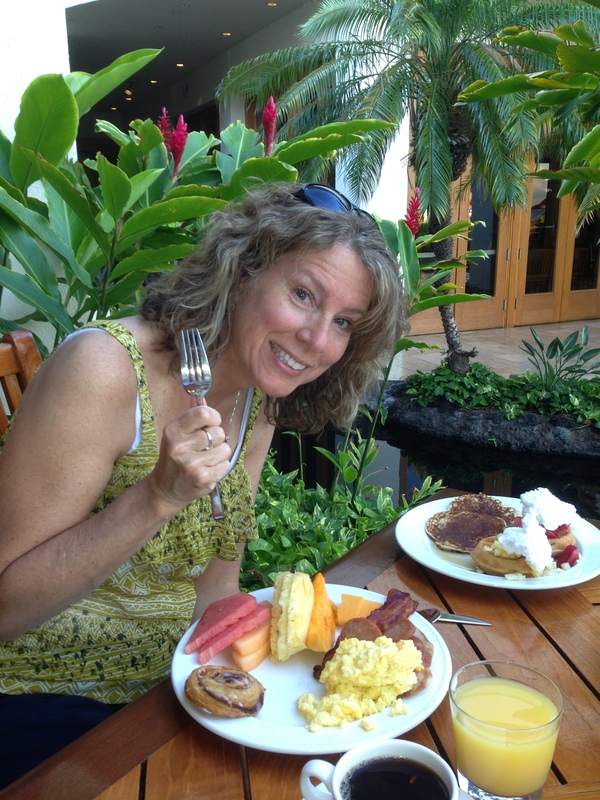 Connie also purchased a book entitled Frommer’s Maui 2013 that gave us advice and such about all things Maui. Also a tip of the cap should go to my friend Joel who pushed me off of the fence regarding whether we should go to Hawaii or not. God willing, we might return.